The tube beads listed below are rated at 800 gauss magnetic strength and are made of Magnetite, also called magnetic hematite, or hemalike. They are man made in China by pressing magnetic iron ore into a bead and polishing to a rich Grade AA shine. 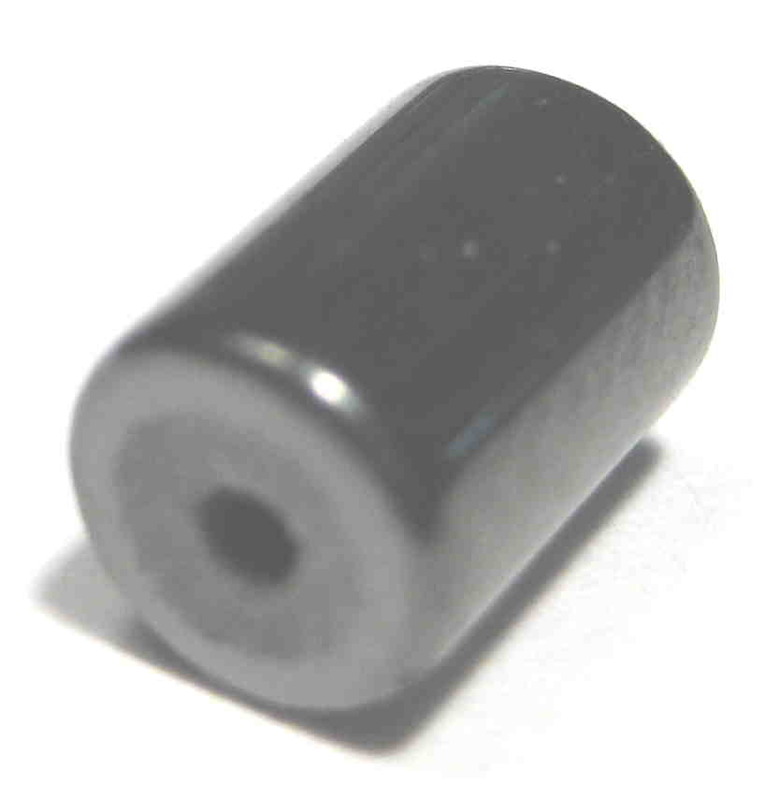 The tube beads come in black and many different shapes. There are traditional tube beads square on the ends, tapered on the ends and tube beads with double cones. 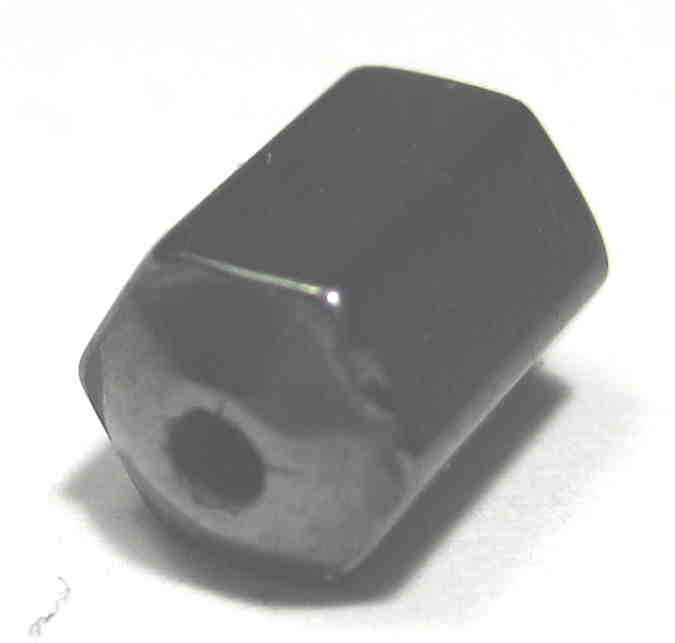 There are also hex tube beads with rounded ends or double cone ends. The beader can use them in magnetic bracelets, necklaces and anklets. Shipping is $7.00 for 3 day First Class Mail, for all quantities below. If you are ordering different types of supplies and the final total price shows more than $12 for shipping, you will receive a refund when we process the order. The refund will be sent at a later time when we process the order, which usually the same day. These 6x10 MM Round Tube Beads are black in color and come in 16 inch long strings with about 40 beads priced @ $1.69 each in the wholesale quantities listed below. Each bead has a square end and is usually used with 2 roundel beads of 6MM size. These 6 MM Roundel Beads are black in color and come in 16 inch long strings with about 130 beads. They are priced @ $1.75 each in the wholesale quantities listed below. Each bead has a slight roundness on the ends of the bead which make them perfect for use with square end beads. The roundness enables the bracelets to bend without breaking or putting stress on the clasps. These 6x8 MM Hex Tube Beads are black in color and come in 16 inch long strings with about 40 beads priced @ $1.99 each in the wholesale quantities listed below. Each bead has a rounded end. For special telephone orders, please call (562) 594-8265 between 11AM and 4PM Pacific Standard Time.